The Russian Helicopters holding company has reported solid financial results for 2013. The company’s revenue stood at 138.3 billion rubles ($3.9 billion) last year, up 10% on the 2012 level. Total adjusted EBITDA amounted to 26.3 billion rubles, indicating a 27% growth up year-on-year. Annual EBITDA profitability set a record high for the past few years at 19.0%. 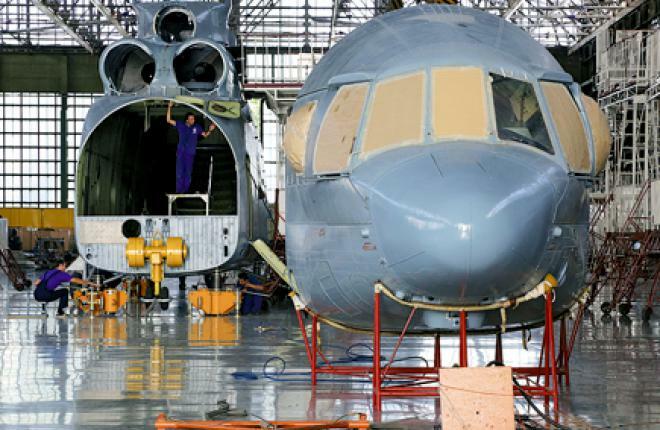 The company delivered 275 helicopters, or 5.2% down from 2012, while building 303 new aircraft. General Director Alexander Mikheyev says this slight decline was entirely due to a revised delivery schedule. The company’s profit grew by 1.3% to 9.5 billion rubles. Russian Helicopters delivered nine different types to customers in 10 countries. Domestic sales dominated, totalling 63.3 billion rubles. Most of the domestic deliveries were made in the interests of the Russian Defense Ministry. Asia was the largest export market last year with 45.4 billion rubles in revenue. Deliveries to Europe grew dramatically to 2.7 billion rubles’ worth in revenue compared to 290 million rubles the year before. On the other hand, the value of deliveries to Africa shrank to 695 million rubles from 6.2 billion year-on-year.